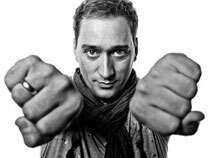 With his sixth studio album now on general release, Paul van Dyk has begun to bring ‘Evolution’’s music live and direct to the people with sell-out arena and club shows in dance hubs including London, Miami and Sydney. 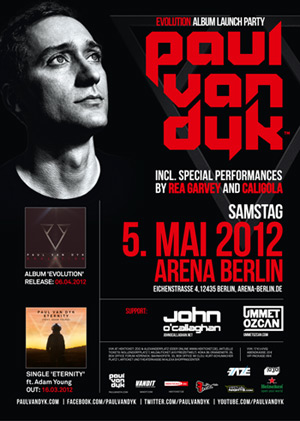 Now, Paul has recently announced that on May 5th it will touch down in Germany for a very special Berlin leg. In the surrounds of Paul’s hometown, the virtuoso DJ will present the album’s music firsthand to fans, featuring performances from guests including Rea Garvey and Caligola’s Björn Dixgård and Gustaf Norén (front-men from Swedish alt-rock sensation Mando Diao). Supported deck-side by John O’Callaghan and Ummet Ozcan, Paul plans to deliver the German capital an astonishing sight and sound spectacular. Within the immense confines of the city’s riverside Arena complex, ‘Evolution’ will come to life, becoming a living breathing experience that van Dyk fans will hopefully remember for years to come. You can pick tickets up via the Arena’s official ticketing agents www.hekticket.de or go direct to vanditnights.com. 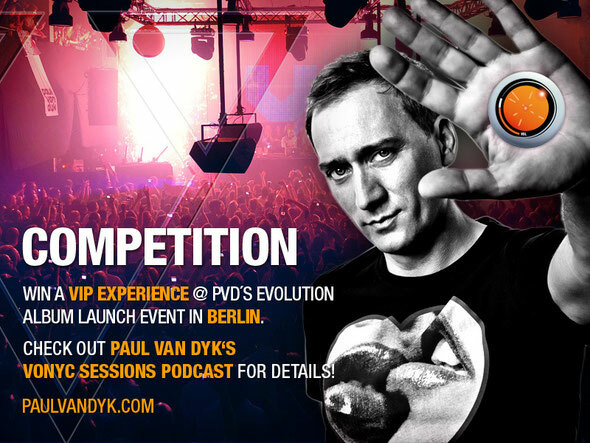 Fans can now win the Evolution VIP Experience which includes a trip to Berlin, a stay at the beautiful Esplanade hotel for one night, two VIP tickets and the chance to meet Paul himself!